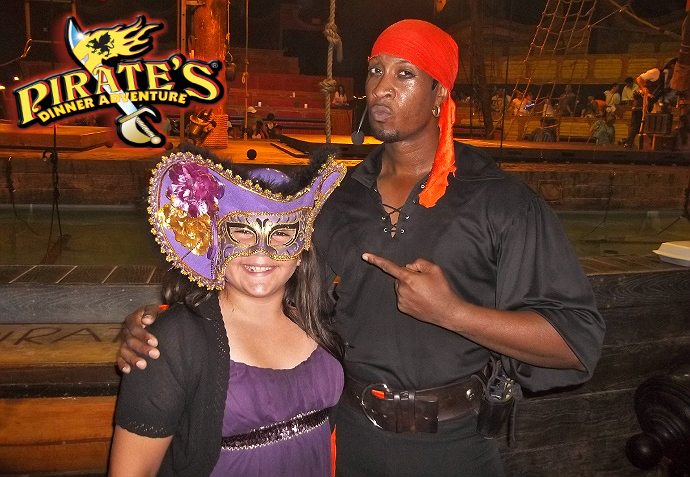 ***We were invited to Pirate's Dinner Adventure, Buena Park, as guests, for the purpose of this post. No further compensation was provided. All images, save arena panoramic, are original and property of Momma Told Me Blog 2013. Momma Told Me: You just can't beat dinner and a show! Growing up, and living in Southern California I am spoiled with a veritable collection of tourist geared activities and attractions. Of course, anyone who is a native will tell you just living 10 minutes outside of 'the big city' (Los Angeles) can mean an hour or more of driving. Unfortunately, with out home some 40 miles from most of the main attractions, this means 2-3 hours of travel time in traffic. This means I have, sadly, visited but a fraction of the family entertainment available to us, despite spending the past 27 years of my life a stones-throw away. When I was a child, my parent's vacation destination of choice was Disneyland. Overcrowded, even as a 4 year old, I never cared for it much; but I did have a fascination with one ride- The Pirate's of The Caribbean. I would wait patiently for over an hour in the hot Summer sun for 2 minutes on that interactive excursion. More recently I've been trying to make up for my laziness as a California blessed with such a prime location. I know I don't visit the beach, less than 2 miles away, nearly as often as I should, and I've found I'm little help when it comes time to plan excursions for family and friends visiting from out of town. I've come to realize life is, essentially, short, and it's time I make forward movement to get out and experience the fun and exciting attractions in my own backyard. I know many of my readers are located across the country, and some the world, but it is my humble hope you may learn a little more about the sites and sounds local to me, perhaps for an upcoming vacation. Last year we attended one of the 7 famed Medieval Times castles in nearby Buena Park, CA. 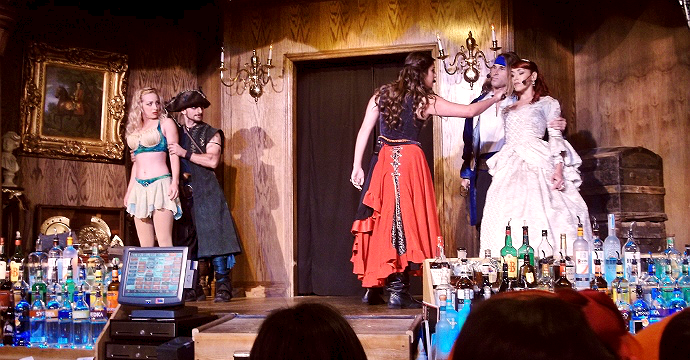 I'd never been to a Dinner Theater attraction before, and was tickled to visit as a guest. I had nothing to compare it to, so I was understandably blown away by the presentation of atmosphere, food, and entertainment. Ironically, right next door, nearly in the same parking lot, was a second unrelated Dinner Theater attraction; Pirate's Dinner Adventure (also found in Orlando, Florida). When I was planning my trip to Medieval Times I recall speaking with several neighbors, family, and friends who had been to both attractions before. 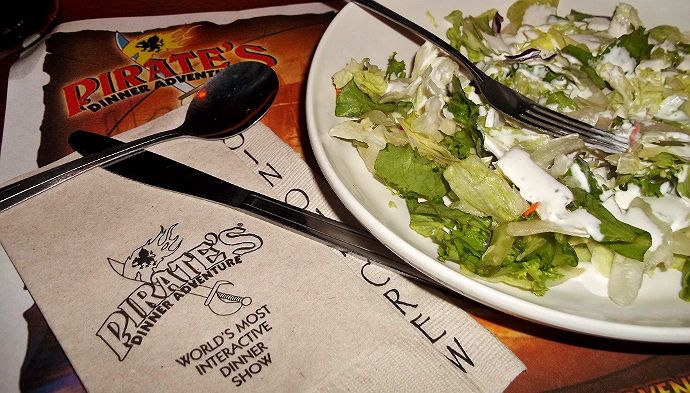 The general consensus was that the show was better at Pirate's, but the food was better at Medieval Times. At the time I thought this seemed notably odd, but again, had nothing to compare my upcoming experience to, so I brushed it off. Flash forward to present day, having just completed my first visit to Pirate's Dinner Adventure; for me, there is no comparison between the two attractions. Now, to be fair, Sabrina (10), who attended the new Rise of The Sea Dragon Show with us, has visited Pirate's on multiple occasions, along with Jay. I was sure to bring people who had a unique previous perspective to truly gain the insight of returning guests and their reaction to the new show. On the day of the show we left our home at 3PM for a 7PM dinner show, and arrived at 6:07PM, after 3 hours of Los Angeles traffic. The doors to the venue open about an hour prior to showtime, so we weren't late, but it did leave me feeling a bit overwhelmed upon arrival. 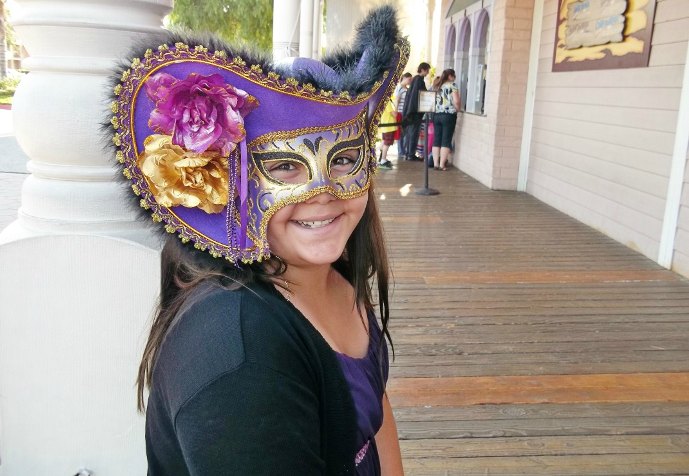 I snapped a quick picture of Sabrina (easily my new favorite photo of her), in her masquerade mask she had purchased on her last visit to Pirate's (Fall 2012), and we got in line to pick up our tickets at the window. Once checked in we were each handed a strand of beads and bandana to indicate which color pirate we would be cheering for that evening. For those unfamiliar with dinner shows such as this, the format is typically the same. Guests enter a giant stage area, surrounded by arena style seating, and are placed in colored sections according to the character/hero they will be cheering for during the 90 minute show. Despite Sabrina's entirely Purple outfit, we were placed in the Orange section, ironically. As you walk into the main foyer of the venue you are asked to don a variety of prop and costume gear and pose for a souvenir photo package, sold for an additional $20. You then make your way into the main hall where the bar/lounge area can be seen off to your left, and a vast array of souvenir counters is located at your right. All of the staff is dressed in period garb, including the wandering waitstaff with complimentary appetizers such as chicken puffs and mini ham and cheese finger sandwiches. I wish I could say I had the chance to try one, but I was overwhelmed by the merchandise and atmosphere. Towards the back of the souvenir counters there is a prominent face painting area where parents may purchase interactive packages for just $20. 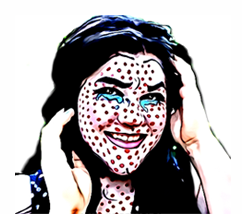 This nominal fee provided a face painting session, pirate hat and additional gear, and guarantees interaction on stage and in the Pirate's act, itself. The show is inherently interactive for the audience, but this is an especially nice way to recognize your child on their birthday, and have them be a tangible part of the show. 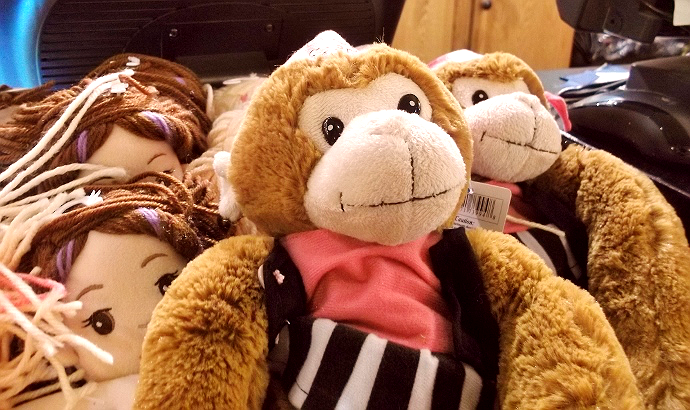 No sooner had I grabbed my souvenirs for family who could not attend, then we were called into the bar/lounge area for a mini show and introduction to our color-coded pirates. The basic background of the tale we were about to watch was revealed and the captured Gypsy, who turns out to be an integral part of the 'dragon twist' of the new plot, performs some breathtaking aerial acrobatics just feet from the crowd's agape faces. 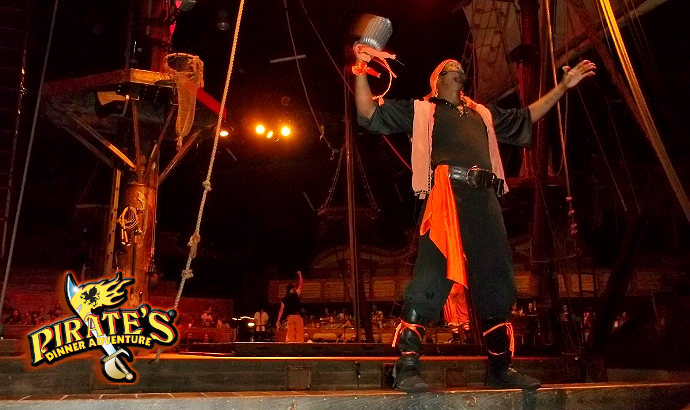 Guests are then marched, behind their pirate, into the main arena and seated stadium style at their tables. The arena itself houses an 18th century Spanish galleon ship replica of 46 ft, with 40 ft masts, anchored in a 250k gallon lagoon. 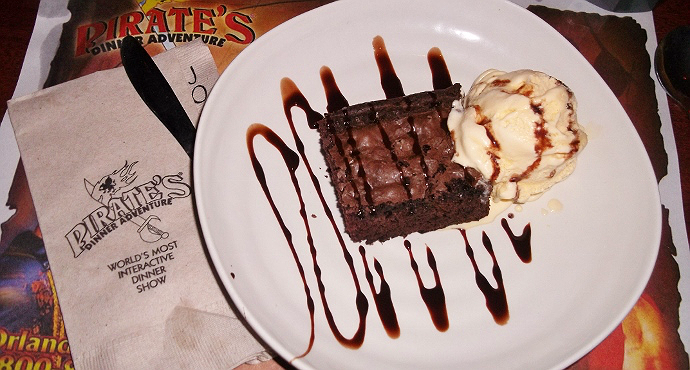 Guests have their choice of bottomless beverage, (vegetable) soup or garden salad with ranch, a half chicken with rice and vegetables or ham and potatoes, and a brownie a-la-mode dessert with cup of coffee, for fare. While the portions were generous, and I could not clear my entire plate, the half chicken I had chosen was a bit dried out and tough. I can only imagine the logistics of personally serving 150 guests a timed buffet style meal, but found this a little disappointing. All other elements of the food was spot on in texture and temperature, and quite delicious. I get the impression food options are subject to change with the season or show, as the online menu included apple crisp, rather than a brownie; so do check with your local venue ahead of time to be sure. A steak entree upgrade can also be added on to your initial ticket price, if desired. So, enough about the food, because I truly believe you get your money's worth in the experience that is Pirate's Dinner Adventure. I do not have a reference for previous show, but the new Rise of the Sea Dragon program is entirely interactive and impressively engaging. That is to say I suspect I could visit several nights in one week and always find a new feast for my eyes. The cast is surprisingly animated, and the stage is rarely without multiple points of interest. 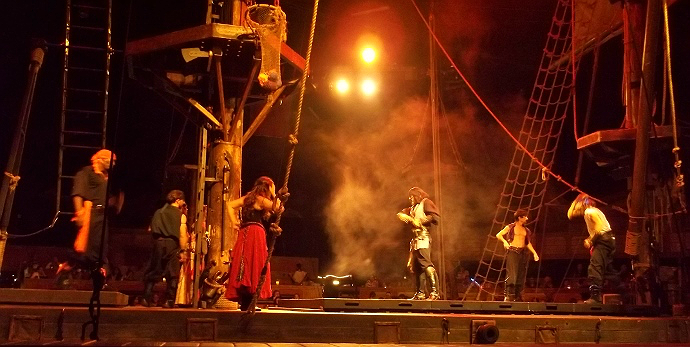 Pirates interact and engage in the corner over here while the main story plays out in the middle of the stage, and side characters bicker in the foreground. The show is truly a 360 experience, with 6 unique 'hero' pirates to cheer for, each with wonderfully developed personalities. 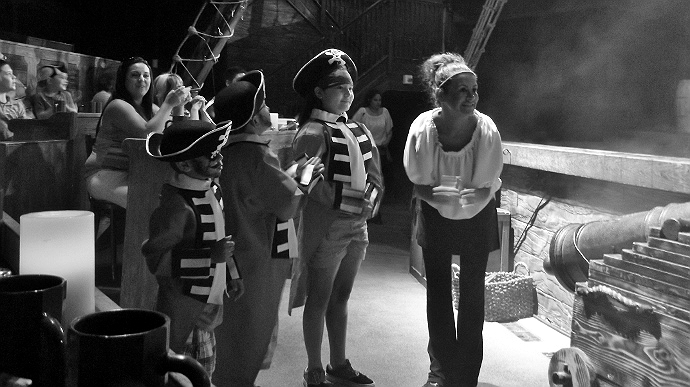 Before the show had even begun the pirates could be seen making the rounds along the floor engaging patrons, and interacting with the children. A few times I observed two pirates meet in passing and ad-lib some dialog with period vocabulary peppered in- it was thoroughly entertaining, and truly brought the experience to life. The story, a classic tale of good versus evil, tell the tale of a captured princess and her royal gypsy aboard evil Captain Pirate Sebastian's ship. With the intent to force the gypsy to summon the fabled Sea Dragon, guardian of a secret cove of immense pirate treasure, Sebastian raids the royal court and takes 150 captives (the audience). Throughout the 90 minute show it becomes apparent that love has blossomed between the captured princess and Sebastian's pirate son (Blue), and a mutiny is set in place leading to an electric battle sequence and the rise of an animatronic/puppetry dragon. (But not before the 'captives' are sworn in as pirates, themselves). I wish I could accurately squeeze all of the points of amazement into this post, but my words are long winded, and my amazement is vast. This show quite literally had everything. 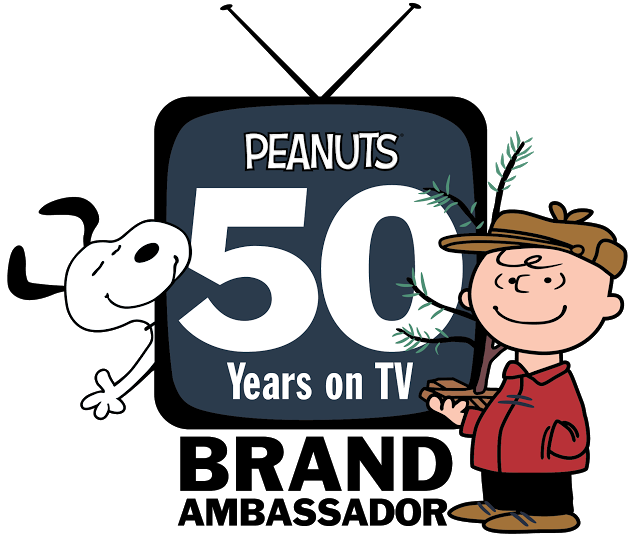 From wonderfully developed characters, and the actors behind them, to constant crowd engagement and social commentary (such as quips on Taylor Swift and even Spongebob Squarepants). Sparks literally flew during sword fights, the center of the stage opened to reveal a trampoline for aerial stunts, pirates fought on a rotating ladder while the cast broke out in catchy song, and I found myself eagerly anticipating the 'Rise of the Dragon,' which did not disappoint! I must say, however, the show stopper of this evening was the talented acrobatic 'Gypsy,' who charmed the dragon to life with her breathtaking duo act, in which she literally spun 20+ feet above the stage suspended by her skull alone. I have seen such acrobatic aerial art on TV before, but to be so close to this beautiful and dangerous act was in no way short of mesmerizing. Current show admission starts as low as $41 for adults, and $28 for children, including complimentary appetizers and a 3 course meal; well worth it for the evening of immersive entertainment! Weekdays offer evening shows alone, while patrons can enjoy an earlier show on the weekends, if planning a vacation of multiple excursions. Shows are constantly being refreshed, and the actors are subject to change, so the experience is always a new one, especially with 6 unique pirates and color coded seating sections. 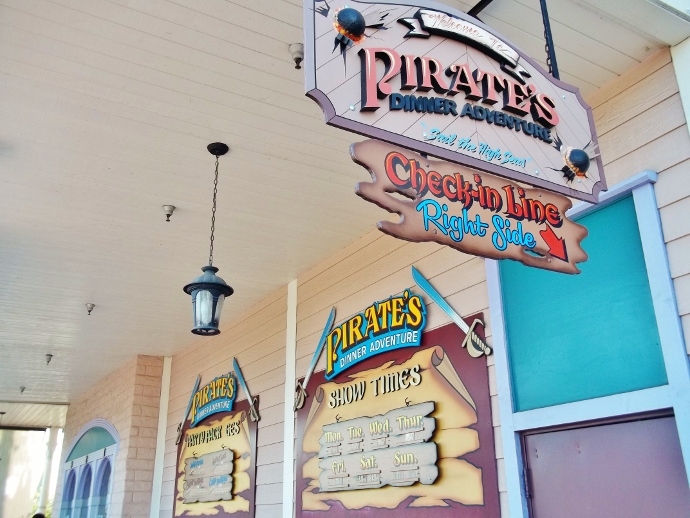 For now, unfortunately, the biggest drawback with Pirate's Dinner Adventure is that there are only 2 locations to visit, nationwide. So be sure to stop by when you are passing through; and, locals, make it a point to visit! 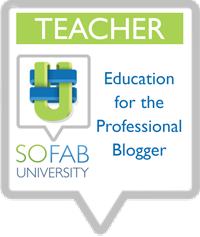 Check back during Blog POP! School Rules for a special 2 pass giveaway to the Pirate's Orlando or Buena Park locations! What Daughter Says: Expand your dinner horizons with an interactive dining experience and 3 course meal at Pirate's Dinner Adventure. That mask Sabrina has on is so beautiful! I have never seen one like that. Looks like the whole night was great fun. I have been to a dinner theater and loved it. 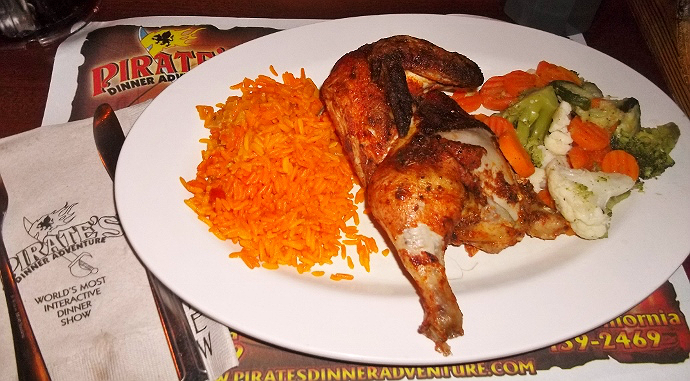 I am so excited to hear that there is Pirate's Dinner Adventure in Orlando. What great fun this sounds like for a family adventure trip. Thanks for the info. That looks amazing! We are headed to Orlando in a few months. 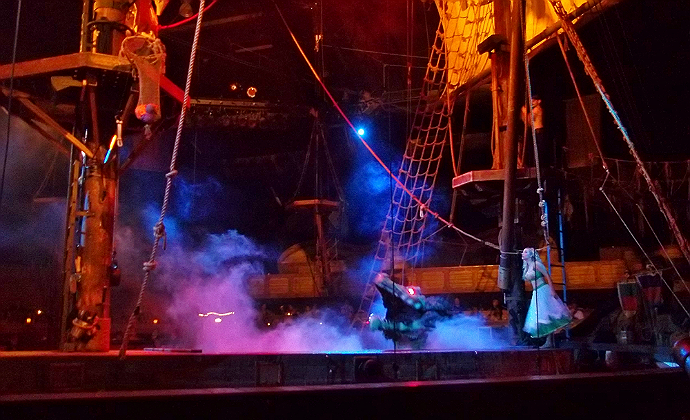 We might just have to attend the Pirate Adventure dinner there! The ticket price is really a bargain for dinner and a live show. My children would absolutely love it! Looks like a fun place to go. Although I'm not near either location, it would be fun to attend someday. I have never been to a dinner theater but that looks amazing! That pirate ship set is so elaborate! Wow that looks like fun! I'd love to go to a dinner theater! How awesome would this be to attend!! looks like a blast and i know my daughter would love it! EEEEk~! Looks like such a blast! I want to go! Oh what fun! I can only imagine how enjoyable the whole experience was, dry chicken notwithstanding. Your daughter looks like she had an absolute blast and she is gorgeous. The mask is stunning! 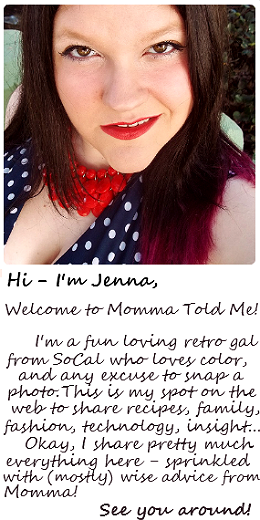 I too am an LA native, and never took advantage of everything this fabulous city has to offer. I moved away, but still consider it home. It looks like you had a wonderful time, and sounds like fun!! Looks like fun. I think my kids would really enjoy this. I don't think we have anything like it near us. I'll have to look into it next time we are in Florida. This looks like so much fun! We are heading to FL in Nov so I need to check this out!